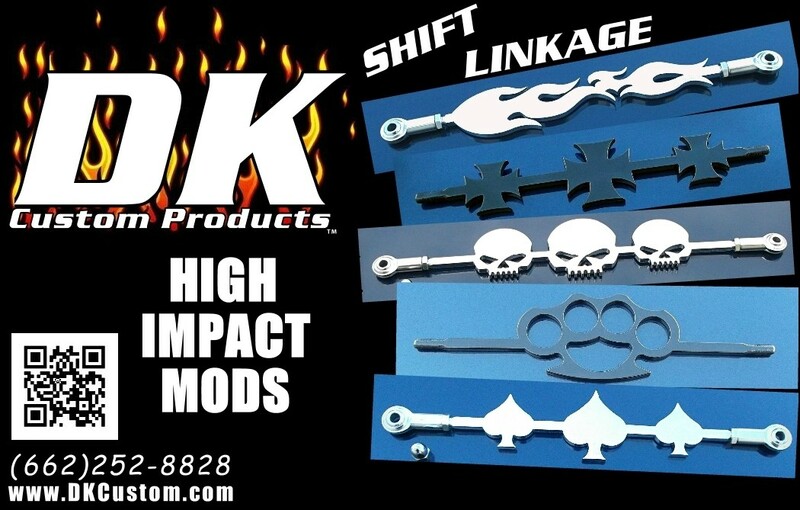 Quality Cold Rolled Steel, Precision cut with a Water Jet, Durable Black Powder Coat Finish, coupled with Quality heim joints & SS fasteners to Last a Lifetime. A polished Acorn nut is also included to cap the front bolt. Heim joints don't/can't fail like the stock rod ends. No more dull, boring shift linkage that is prone to break and leave you stranded. They are adjustable, and you may be pleasantly surprised how much smoother your bike will shift. Look at all the pictures...you will be very pleased with how this alters the attitude of your ride! There is quite a bit of hand polishing that goes into each one of these. We try to keep them in stock. When you order, it will show if we have it in stock, if we don't, you can still order (it will show back-ordered) and we will get it to you as quickly as possible, usually within 1-2 weeks. This is an EASY install - 5-10 minutes! 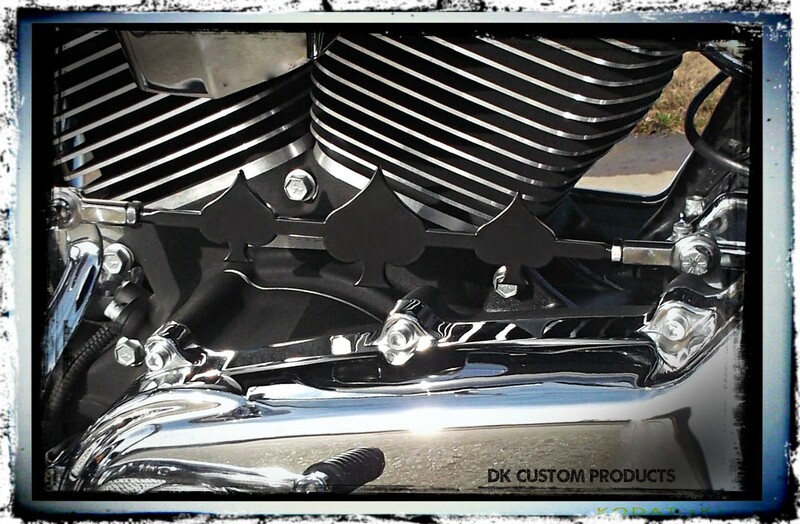 Measure your bike's existing linkage from center of bolt hole to center of bolt hole. This is a High Impact Mod that Makes a Difference!